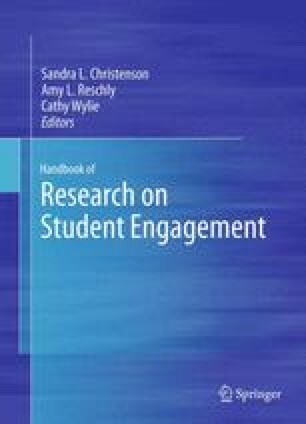 The goal of this chapter is to present a perspective on student engagement with academic work that emphasizes its role in organizing the daily school experiences of children and youth as well as their cumulative learning, long-term achievement, and eventual academic success. A model grounded in self-determination theory, and organized around student engagement and disaffection with learning activities, seems to offer promise to the study of academic development by specifying the dynamic cycles of context, self, action, and outcomes that are self-stablizing or self-amplifying, and may underlie trajectories of motivation across many school years. The study of ongoing engagement can be enriched by the incorporation of concepts of everyday resilience, focusing on what happens when students make mistakes and encounter difficulties and failures in school. The same personal and interpersonal resources that promote engagement may shape students’ reactions to challenges and obstacles, with academic coping an especially important bridge back to reengagement. Future research can examine how these motivational dynamics contribute to the development of durable academic assets, such as self-regulated learning and proactive coping, and an academic identity that allows students eventually to take ownership for their own learning and success in school.